The International Interior Design Association (IIDA) is a professional networking and educational association of more than 13,000 Members in 10 specialty Forums in 31 Chapters around the world committed to enhancing the quality of life through excellence in Interior Design and advancing Interior Design through knowledge. The IIDA is dedicated to providing meaningful resources to commercial interior designers and their clients, advancing the value of interior design to business decision makers as a way to solve problems, support culture and enhance business value. 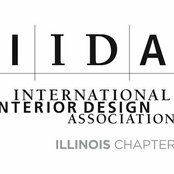 The IIDA Illinois Chapter is a regional resource for knowledge sharing, advocacy of interior designers right-to-practice, professional education, and expansion of interior design markets. We make designers better.